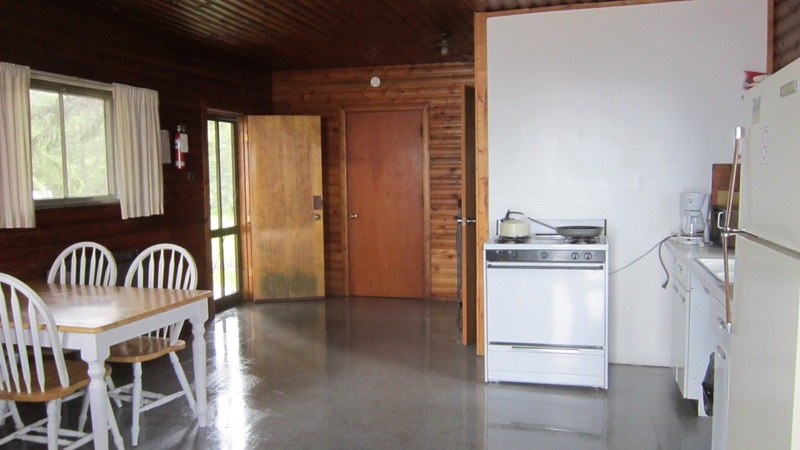 All of our cabins are fully outfitted with full kitchen, range, refrigerator, microwave, toaster, coffee maker, dinnerware, cutlery, pots and pans and other basic kitchen supplies. 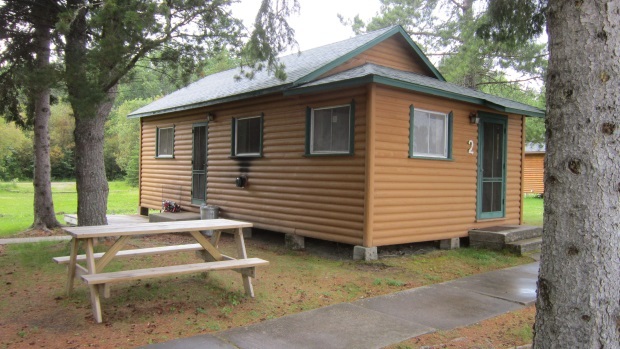 All have hot and cold running water, full bathroom facilities with showers, propane heat, outdoor charcoal grills and picnic tables. Wifi is available at most of the cabins for email use. 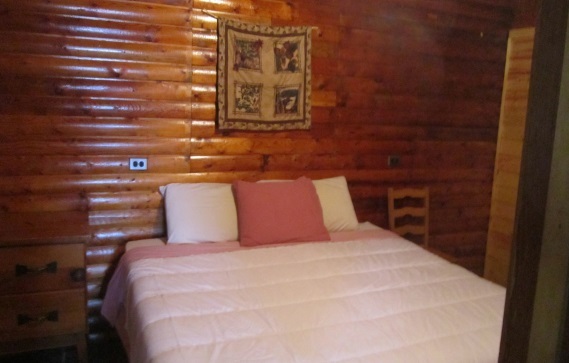 Cabin 1 is a bright, spacious three bedroom cabin that has 8 single beds and a sofa bed. It can also accommodate 2 roll-a- ways, making it sleep a total of 12. It has a large enough dinning/living area for 12 or more guests to sit around the table, with a great picture window view of the lake. 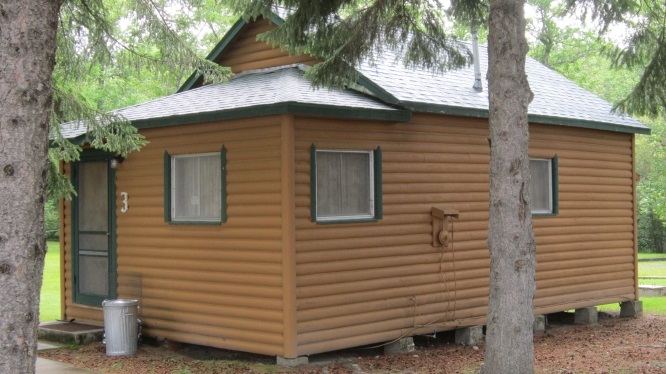 Cabin 2 sleeps 5 with 2 in one bedroom and 3 in another. 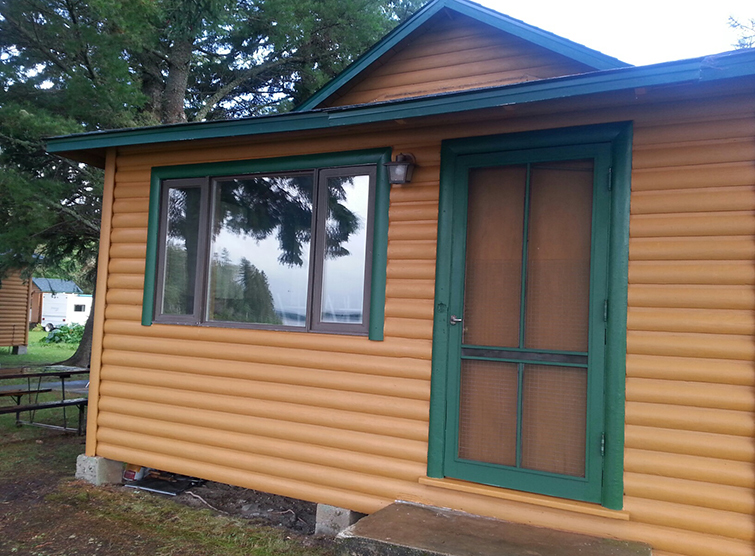 It has a spacious dinning- living area with a nice view of the lake. 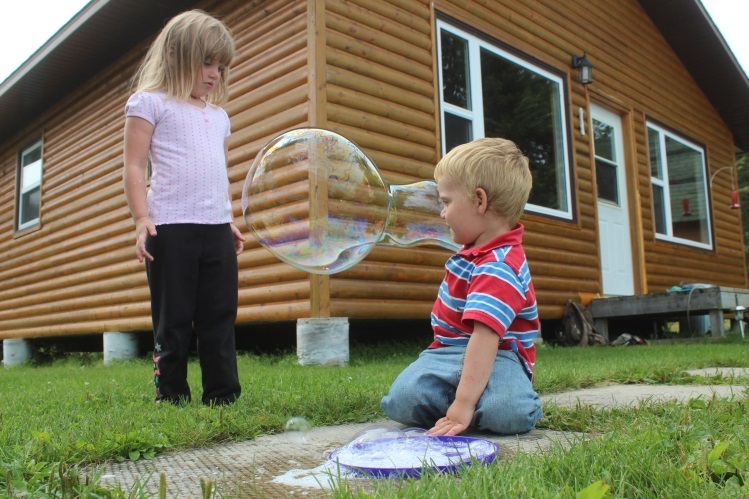 This cabin has room in the two bed bedroom to accommodate a roll away cot. 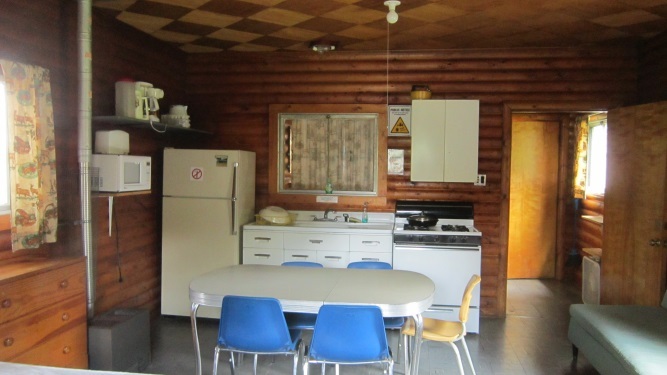 Cabin 3 is the smallest of the cabins and has a bathroom with shower and one large area that has the kitchen-dinning-sleeping area with 2 single beds. 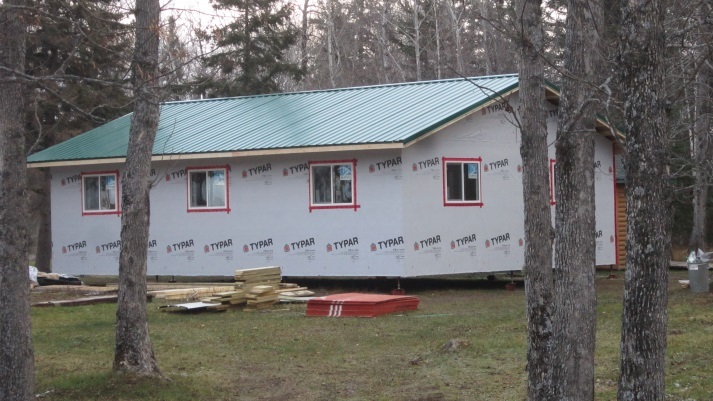 Cabin 4 is our newest spacious three bedroom cabin that has 8 single beds and a sofa bed. It can also accommodate 2 roll-a- ways, making it sleep a total of 12. It has a large enough dinning/living area for 12 or more guests to sit around the table, with a great picture window view of the lake. 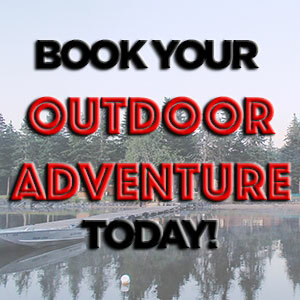 Please see our hunting brochure or fishing brochure for rates for kids, additional guests over the minimum occupancy and more information about the hunting and fishing packages we offer. 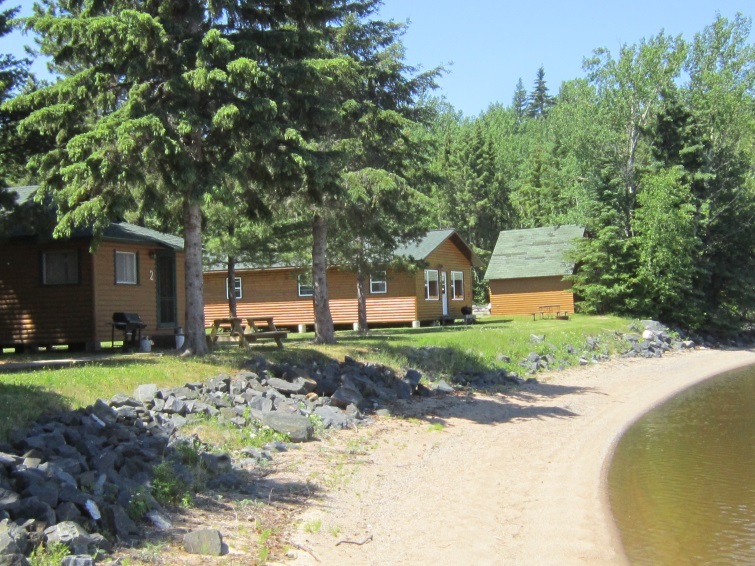 Looking for an outfitter for Woodland Caribou Provincial Park? Check out Sunset Canoe Outfitting!